We are a passionate team of engineers, designers, and problem-solvers. 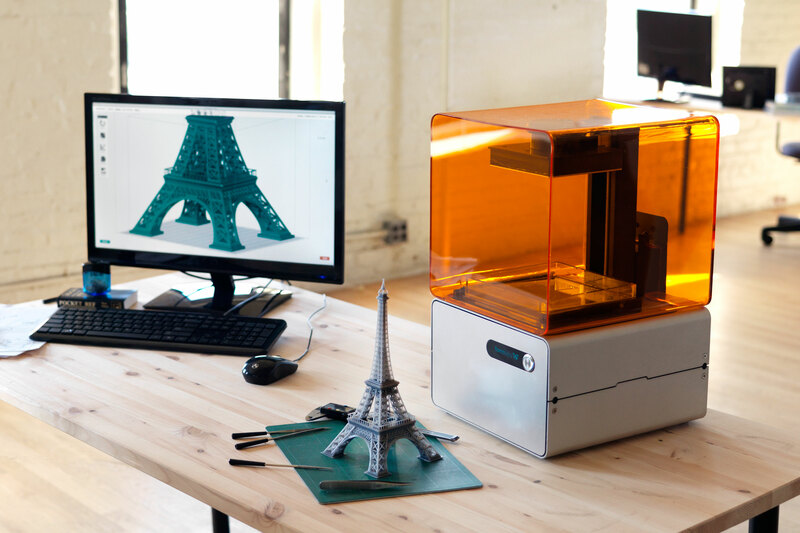 Started in 2011, Formlabs is committed to bringing innovative and sophisticated fabrication tools into the creative hands of designers, engineers, and artists around the world. An unprecedented convergence of design, performance, and accessibility, the Form 1 brings professional-quality 3D printing to a broader audience. We believe in what we do, and we’re excited about creating powerful tools that change the way we work and live. The Form 1 uses stereolithography (SL) technology to achieve resolution unheard of in the low-cost 3D printer market. The printer forms layers as thin as 25 microns (.001 inches) with details as small as 300 microns (.012 inches) in a build volume of 125 x 125 x 165mm (4.9 x 4.9 x 6.5 inches). No longer limited to low-end FDM machines, users can now print parts with the complex geometries, exquisite details, and beautiful surface finish necessary for professional quality design and digital fabrication. The easy-to-use Form software (compatible with any 3D CAD package), custom-formulated printing materials, and Form Finish post-processing kit complement the beautifully simple printer to make desktop 3D printing as easy as pushing a button.